Does Section 24 Mean You Should Sell Your Property? Most landlords still find it hard to believe that former Chancellor George Osborne introduced Section 24 of the Finance (No. 2) Act. Yet, whilst campaigns from likes of the NLA, RLA and Axe the Tenant Tax will continue calling for this legislation to be scrapped, much of the industry has reluctantly accepted that it’s here to stay. At the time of writing at least, hoping for reversal or retrospective exemption is likely to result in disappointment. As the phasing intensifies with every new tax year that passes, more landlords have been seeking professional advice on how best to navigate through the choppy waters. Much will depend on which tax threshold you stand in. If your net income falls under the basic rate of tax, for example, Section 24 is unlikely to impact you as severely. Similarly, landlords that are lowly geared should be able get through the coming years relatively unscathed. For those in the higher and additional tax brackets, however, more careful strategic planning is required. Some have been exploring restructuring their property affairs into more ‘tax efficient’ Limited companies. Here, however, the stamp duty and capital gains tax implications are often downplayed by advocates of such schemes. Expecting to simply transfer any mortgage liabilities from your personal name to a corporate entity is also unfeasible without swapping to a new lender (under new terms and conditions). In short, speak with a qualified accountant and run through the numbers in detail before making any decisions. It’s sometimes also possible to get further clearance from HM Revenues & Customs to make sure all is above board. 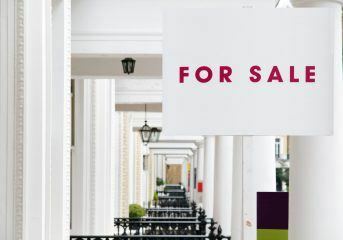 Should You Sell Your Buy-to-Let Property? The Ministry of Housing estimates that some 4,000 buy-to-let properties are being disposed every month. This is quite a high figure, but not always prompted by financial difficulties resulting from Section 24. 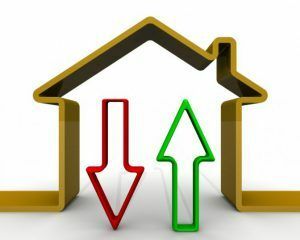 A significant majority of UK landlords are ‘accidental’ – perhaps they’ve inherited a house or lived in a property previously that they decided to rent out instead of selling. With ever-demanding regulatory control and rising costs of ownership, it can make sense to simply sell up – especially if equity has been accumulated over the years. 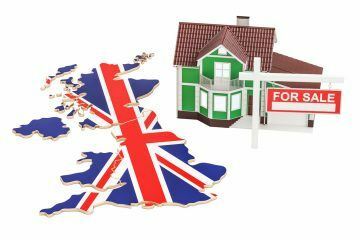 These days, expanding a portfolio and getting deals to ‘stack up’ has also become more challenging – given the stamp duty surcharge and stricter borrowing requirements imposed by the Prudential Regulation Authority (PRA). Then there are wider concerns related to growth of sectors like build to rent and, of course, the seemingly endless public vilification of landlords. For those operating in the Local Housing Allowance (LHA) space, Universal Credit’s initial roll-out has also been creating cashflow issues. But at the same time, it’s arguable that there’s a unique opportunity for those willing to weather the storm and appreciate the benefits of holding property for the long-term. Speak to local agents and assess Land Registry sourced data to get an idea about what your property will fetch for. The obvious barrier here would be whether you have sitting tenants or not. To attract the widest pool of buyers, vacant possession is typically the best way to sell and you would probably need to invest some money to bring the property up to spec. You may need to have a conversation with your current tenants to explain you are selling up. Here, it’s important to be civil and respect the fact that they have paid your rent. If possible, provide a helping hand in the form of a rent-free period or assist helping them find a new place. In the worst-case scenario, eviction proceedings may need to be started which could end up being a drawn out and costly process. Alternatively, some estate agents have databases of local landlords – so you could you could consider selling a property with tenants in-situ. Note that buy-to-let investors will look at key metrics such as gross/net yield and ROI so you probably won’t achieve as much as you would on the open market. Estate agent fees range between 1-3% of the purchase price, unless you use an online agent who are increasingly charging up-front fees. Some are also offering more ‘hands-on’ options where you are responsible for organising viewings etc. The traditional stomping ground for buy-to-let property investors. Auction buyers are less averse to taking on properties with sitting tenants as many are landlords themselves. A property in bad condition or with problem tenants will also not put buyers off, although expect the auctioneer to suggest a lower reserve if this is the case. Once the hammer falls, the buyer is contractually obliged to complete on the sale or potentially risk losing the deposit (and incur fees and penalties). Auction selling fees vary across the country. Remember to read the small print and always look out for hidden extras like marketing, room hire, listing fees and such like. Growing in presence over the last couple of decades, private buying companies offer a fast and efficient way to dispose of buy-to-let properties in any condition. The benefits of using these services include a guaranteed cash sale within as little as 7 days, no legal or estate agency fees. Some also offer cash advances. 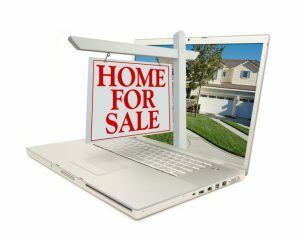 Expect to receive an under market value offer in return for a sale that’s more certain and professionally executed. As there a number of unscrupulous operators out there, always check that they are suitably registered with the likes of bodies like the Property Ombudsman and the National Association of Property Buyers (NAPB).